As a sick old man; a father and a grandfather lay on his deathbead waiting for the inevitable, and as his family members and his loved ones gather around him, and as his fellow citizens silently pray for his well-being and as world leaders send their well wishes, there is a group of people who take this opportunity to show how cool they are. It is cool to wish death upon LKY. If you have 12-year kids doing that, then it’s forgiveable. But then you have adults spewing the same and you just shake your head and do a facepalm and ask yourself how could people be so juvenile and stupid? How could people be so desperate for attention that they’d wish death upon a fellow human being let alone a world statesman who, in his own indomitable way, has built a nation that, ironically has allowed the same people the comfort and means to slam him. Then you realise that oh well, it’s the internet. Haterz are gonna hate. Worst of all, you have people; politicians and activists doing the same; the same politicians and activists who claimed to be fighting for the betterment of the society and yet are unable to distinguish the man from his policies. And they expect us to take them seriously and believe them? How could anyone lead us and promise a better future when deep inside their hearts, they lack the compassion and the magnanimity to wish a sick old man well? Instead, wish death upon him. How could we take anything seriously coming from an adult with a 12-year old mentality. Some might argue that LKY has done the same to his political enemies. 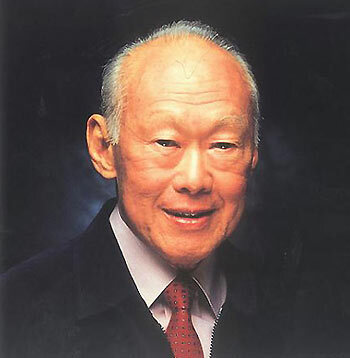 But they failed to see that LKY is a political beast. If you want to enter the political arena and do battle with him, you are more than welcomed but expect a tough fight and he will beat you to pulp and destroy you politically if you are not prepared. But not once, has he wished death upon his enemies. So next time when you see anyone claiming to fight for the people, for our CPF and our welfare, ask yourself; who is he or she? An adult? Or a 12-year old internetz championz.